This sense of belonging to nowhere has been in my mind since the past few days and haunting me severely. My father works for a bank - A job made for relocation. I was born in Kerala. Immediately I moved to Karnataka. After that to a place called Aurangabad in Maharashtra, then to Pune and then at the age of 15 I came to this beautiful place-Chennai. Now in Hyderabad. They say my native place is Kerala. But I go there for maximum a week in an year, which has even reduced to 2-3 days since the past couple of years. I know some malayalam, which I gained not by staying in Kerala but by watching some mallu movies. So I never feel like saying Iam a keralite. We speak tamil at home and they say "tamil is my mother toungue". Till last month I was staying in Chennai. Now I have joined my first job in Hyderabad. I was in Chennai for 6 years. Till this week my parents were staying in Chennai. But now, My dad has got transfered to Bombay. My parents will also be leaving Chennai very soon. When I left Chennai for a job in Hyderabad, I dint feel much for it cos I knew that since my parents stay there I'll defenitely go there every now and then. When I came here for my new job, when anyone asked me, I said "Iam a Chennaite" or "Iam a Tamilian" or "Iam coming from Chennai". But now what do I say?? I should not say Iam from Bombay. Also I feel its a mistake if I say "I belong to Kerala" cos I have stayed there for less than 100 days in my life. For the past few years Chennai was my home-town. My 11th, 12th and 4 years of Engineering were in Chennai. In fact, Chennai taught me life. 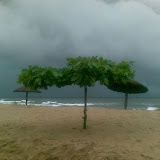 I spent a very important part of my life (15-21) in Chennai. I got my best friends there. I roamed around every nuke and corner in madras. Every place was like "Namma Area" for me. Everybody was "Machi" for me. Spencers, Besant Nagar beach, Mount, T-Nagar, KK Nagar were all Namma Area. But now if I do a reality check will I go to these places again?? Who has the time to go?? When I get a couple of days leave, naturally, I will go to Bombay to see my parents. Vacations will be spent in *aamchi(? )* Mumbai and not in Singara Chennai. So where do I belong to?? "I was born in Kerala, stayed in Karnataka for 2 years, stayed in Aurangabad for 8 years, in Pune for 4 years, Chennai for 6 years, staying in Hyderabad since the past 1 month, parents in Bombay since the past 1 week, Tamil is my mother-toungue and my native place is Kerala where I have stayed for less than 100 days in these 21 years..."
who am i ? where do i belong ? i was born in kerala ( being the first born) and was raised in kalyan, lived in powai for a year and a half, worked in hyd for the first 2 years ( the saddest place that I have ever been) and have lived in hoboken, syracuse, albany. When i first came to hyd, finding an apartment for a single woman in 1997 was a night mare. Being from bombay i was looked at somebody who didn't have values and priniciples. people have such a famished! idea of a girl raised in bombay. i have walked the streets of bombay at 3.00 in the morning and frequently travelled at midnight but none ever stalked me. but i was stalked in hyd at 8.00 in the evening when i was back from dinner - oh yes that lots of rice and no rotis made me want to give a piece of mind and one feels so rotten eating rice 2 times a day with not enough vegetable. hot and humid and droughtful hyderabad made me fled the place. i am glad i got far from there and hope and pray that i never have to come to hyd. I feel the same. Born in Europe, educated in USA. Traveled a lot. But I feel I belong to nowhere. I feel your pain and I am over sure there are many more out there who feel the same way. I sometimes question life and my service to this world.